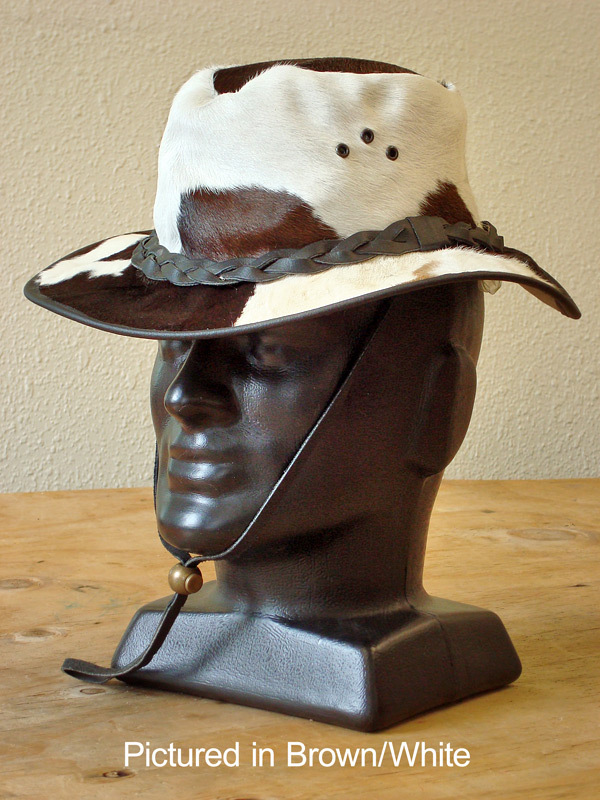 A lightweight New Zealand cowskin cowboy hat that can be squished to lie flat so you have more room in your bag or briefcase. 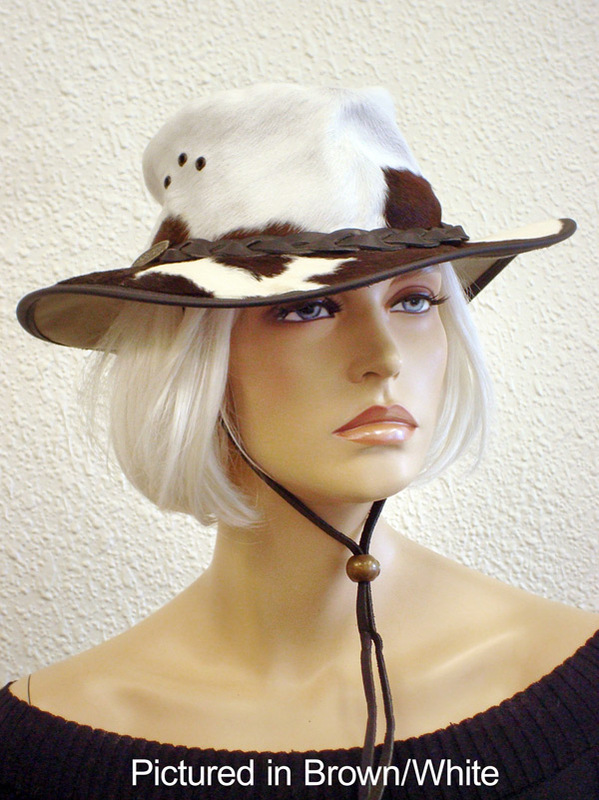 This hat is part of our funky Moomoo range and can be coordinated to team up with our footstompingly great Moomoo boots. Comes with plaited band, ventilation holes and toggled neck strap, this hat is cool as a cucumber. Almost sold out - only brown/white in medium left - make it yours!